You are browsing the archive for 1950s. My group and I are working on a web based project designed to honor Governor Martha Layne Collins’ contribution to the Civil Rights history of Kentucky. We are struggling to find footing with a thesis about Governor Collins, because a good portion of the information we are finding about her is in relation to her time as Governor of the state of Kentucky, which is after the time period we are looking at, from 1920 to 1970. Also, people close to the former governor are extremely hesitant to speak about anything regarding Governor Collins, because of a scandal involving her husband after her governorship. We are not interested in what she did as a governor though, instead, we are looking for any information regarding the work she did to promote fair civil rights for all. We are aware that she had a lot to do with education reform, due to her background as a teacher, but are having difficulty finding anything about her life before that, aside from the fact that she was in a lot of beauty pageants and a young adult and created an organization called the “Jaycettes”. WE had an interview set up with a family friend of Collins’ but said interview was later cancelled. Our next step is to go to the Woodford County Historical Society, where there is a file about Governor Collins during her time there. Hopefully while there we will be able to form a thesis about why Collins was inducted into the Hall of Fame. While this quote seems a little extreme, I think it is fitting for the discussion of women as a part of the Civil Rights Movement following World War II. During this time period, women stepped up as leaders in their communities – they became the heads of NAACP chapters in their towns, they spearheaded protests such as sit-ins, and were great advocates for educational reform. Women who had previously been counted on solely in their own homes were now of great use to the general community. Women such as Anne Braden, an active Civil Rights Leader for many years throughout Kentucky, were critical to the many developments in racial relations that occurred throughout the United States following World War II. Another such woman was Mae Street Kidd, who stepped up as a legislator, leader, and role model for women everywhere. Helen Fisher Frye‘s story of influence was included in Chapter 3 of Freedom on the Border. Her oral history details her influence as the President of the NAACP in Danville, Kentucky. Another area in which women demonstrated their abilities following World War II was in organizing protests. The 1964 March on Frankfort was attended by many notable Kentucky women, including two who give Oral History accounts detailed on page 112-113 of Freedom on the Border. 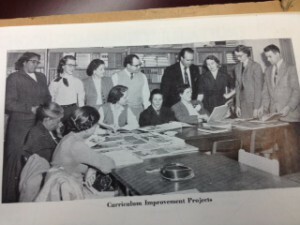 In addition, many student led organizations were spearheaded by women following World War II. Several of the Oral Histories in chapter 3 of Freedom on the Border are accounts by female students, such as Helen Fisher Frye and Anna Beason speak on their influence and participation in protests and organizations for Civil Rights. All in all, the Civil Rights movement was greatly affected by a great number of women in a variety of ways. They led campaigns, held offices, led NAACP chapters and other local organizations, organized protests, influenced students, participated in national marches, and changed the face of the Civil Rights movement. Without the influence and determination of women such as these, the Civil Rights Movement would not have been as successful as it was, and our nation would not be where it is today. In the years after World War II, protests began to invade society with calls for change among the African-American community. Peaceful demonstrations were common after being inspired by Gandhi’s pacifism in India. Sit-ins by young people became widespread among members of the NAACP and the Congress of Racial Equality (CORE), in hopes of stirring change in the hearts of Kentucky legislators. Most of the prominent activity of the 1940s and 50s were in the larger cities of Lexington and Louisville. Often times, demonstrations would be in front of or inside stores or restaurants refusing to cater to African-Americans. One such demonstration involved Audrey Grevious, a former president of the NAACP and member of the Lexington chapter of CORE. She and a group of NAACP and CORE members decided to have a sit-in at a restaurant. They had been sitting at the lunch counter for some days, when one day, the manager decided to chain off the area. While sitting on a stool, he swung the chain at Grevious’s leg. To keep herself from trying to “wring his neck”, Grevious began to sing, not realizing how much damage the man would be doing to her leg in years to come. Youth and others working in menial jobs performed a lot of the protests. In fact, young people comprised most of the members in the NAACP and CORE. According to Mary Jones of Lexington, if “it had not been for the children, young people in this town, CORE would not have survived.” Often times, women workers would recruit their students to join them in protests. Helen Fisher Frye—who was president of the Danville NAACP and worked with youth at her church—would meet her students after school to have sit-ins at the local drugstores. Interestingly, smaller towns outside of city life handled segregation a little differently. In an account by Anna Beason, she describes how she and her friends had engaged in a sit-in unknowingly. They had gone in to a drugstore for sodas and were waiting for a long time, until the waitress finally served them. It was as if these smaller towns did not know how to handle segregation. Another instance was when George Esters and a group of his friends went to the white teen center to dance in Bowling Green. The next year, a teen center was built for African-American teens. Out of all the women in this chapter of Freedom on the Border, Helen Fisher Frye seemed to be the most striking. Living in Danville, race relations were not severe, but she had a few white friends through church. Because of her Christian philosophy, Frye felt it important to have a place in politics, specifically through organizations such as the NAACP. In fact, Frye re-organized the Danville chapter of the NAACP and even worked to integrate public housing. Like Mae Street Kidd, she was a fearless woman who was not afraid to voice her opinions. Kidd would demand what she wanted and stand firm in her beliefs, as seen in the time when she was working for the Red Cross and did not want to travel to a humid location. In the same way, Frye threatened to drive away when the gas attendant left her to attend to a white customer. Through the leadership of these two women, much was accomplished for the advancement of African-Americans by making known their societal inequalities. Most people recognize the civil rights movements as the 1960’s, a time characterized by Martin Luther King Jr.’s peaceful movements, Malcom X, sit ins, protests, and many more actions like these. However, the civil rights activists of the 1940s and the 1950s are the people who paved the way for such great and momentous actions that occurred later in the movement. While the 1940s and 1950s played a great role in the civil rights movements there was a lot more behind the scenes and smaller actions compared to the big mass movements that were organized later. These actions were largely made possible through the efforts of many women of the time. Many petitions and advancements for African Americans were directed by and gained respect for women across the state of Kentucky. time period and women played a great role in making sure that people signed them and that they were presentable to the government. Anne Braden is an excellent example of a woman who organized one such petition. Braden and several other people worked towards getting a law passed that made hospitals accept everyone who was brought to their doors. However, this couldn’t happen unless Braden was able to show the benefit of this law and how many people supported this new law being put into action. So she organized a petition and went house to house and business to business getting people to see what injustice was happening and sign the petition to stop it. This is just one example of women taking control and moving the fight towards justice one step further. Another way that women participated in gaining better and equal opportunities was by using their own personal skills and talents and putting the law on their side. They knew that they were great at what they did, deserved the same opportunities that white women received and were determined to work hard enough to get it. Helen Fisher Frye knew this and showed this through the hard work that it took to put on an African American concert at Centre College. Everyone at the school, especially the white male supervisors, doubted that she could get it done and do it in a professional manner. However, despite all of their doubts, she organized the concert, which ended up drawing people from all over the state and even from Cincinnati. 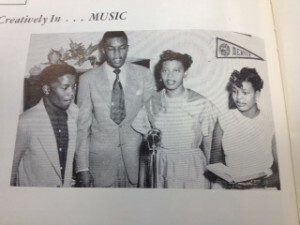 The officials of the school were so impressed that they promoted her to being on their concert committee and opened up all concerts to African Americans. Frye showed through her great skill and talent that Blacks deserved the same exact rights that Whites did and gained that for all African Americans in Danville. Another woman that did this was Vallateen Virginia Dudley Abbington. 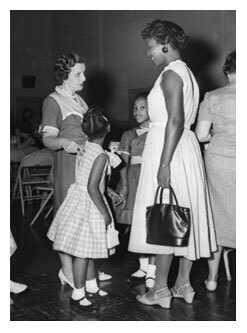 Abbington was an African American teacher in Louisville who was getting 15% less pay than the white teachers in the area. So she took to the court to show and change this injustice. The school board was so shocked that this happened and wanted to change it so badly that they agreed that if Abbington withdrew the lawsuit all African American teachers would receive equal pay. By standing up for her and all other African American’s rights, she gained the equality in pay for teachers in the Louisville area. All three of these women stood up for what they believe in, in their own ways. They didn’t organize mass movements to get the attention of everyone in the nation or in the state but rather worked on a smaller level to achieve smaller but equally as important milestones in the fight for equality in all areas of society. These movements paved the way for the bigger movements that were to come. Thanks to these women and many others like them the 1940s and the 1950s were first steps in making our society one that was fair and safe for everyone to live in. “Notable Kentucky African Americans Database.” Notable Kentucky African Americans –. N.p., n.d. Web. 04 Mar. 2013. “Anne Braden.” Wikipedia. Wikimedia Foundation, 03 Apr. 2013. Web. 04 Mar. 2013. “Civil Rights Movement.” Wikipedia. Wikimedia Foundation, 03 Apr. 2013. Web. 04 Mar. 2013. According to the book, Freedom on the Border, the conclusion of World War II initiated the return of nearly twenty thousand African Americans from Kentucky who had served overseas. These soldiers had heightened expectations for social equality when they returned to the States, however, they soon faced the unfortunate reality that equality had not yet been leveraged. To promote the radical change demanded by society in order to uproot long-standing traditions of prejudice and discrimination, mass action had to be taken. The key to success during the 1940s-50s was organization. Groups supporting these causes already existed but the masses observed that no change would come if national campaigns were not launched. In order to open public accommodations to all citizens of the United States, professional groups such as the Congress of Racial Equality and the Student Nonviolent Coordinating Committee were formed to promote progress. The SNCC held a much stronger following within the Deep South, while CORE made significant strides in the Bluegrass State. Alongside the NAACP, members of CORE began planning – they were planning for the attention-grabbing actions and protests of the early 1960s. While leaders of this time for these organizations were predominantly men, women composed overwhelming majorities of membership within each organization. Women, such as Audrey Grevious, would hold membership within these organizations and work actively within chapter projects in order to promote local change. These women gathered petitions and plan sit-ins while men within the organization rallied support throughout the region in the public eye. This example also unfortunately showcases another form of discrimination and stereotype that has traversed racial boundaries – gender equality. One crucial action of the local NAACP and CORE organizations within Lexington, Kentucky prompted the integration of the University of Kentucky in 1949. While this is largely credited to Lyman T. Johnson’s successful case against the state’s Day Law, many women of color, who were part of these organizations, played a crucial role in gaining support for Johnson’s case. 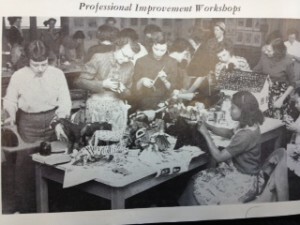 Upon integration, many women of color capitalized on the opportunity to attend the University of Kentucky as well. Two of their stories can be heard here, via oral history interviews regarding their experiences at the University of Kentucky upon the era of integration. Without question, Kentucky women supported the official mobilization of organizations and movements within the state during the 1940s-50s. Their activity, however, is largely overshadowed by their male counterparts who often represented the face of campaigns. It should be noted, however, that women’s roles within this portion of the movement are not insignificant as their membership and commitment to the cause gave way to radical demonstrations during the 1960s that finally demolished the barrier preventing equality in Kentucky and in the United States. Wikipedia contributors. “Congress of Racial Equality.” Wikipedia, The Free Encyclopedia. Wikipedia, The Free Encyclopedia, 27 Feb. 2013. <http://en.wikipedia.org/wiki/Congress_of_Racial_Equality>. 3 Mar. 2013. Wikipedia contributors. “Lyman T. Johnson.” Wikipedia, The Free Encyclopedia. Wikipedia, The Free Encyclopedia, 28 Nov. 2012. <http://en.wikipedia.org/wiki/Lyman_T._Johnson>. 3 Mar. 2013. Wikipedia contributors. “University of Kentucky.” Wikipedia, The Free Encyclopedia. Wikipedia, The Free Encyclopedia, 1 Mar. 2013. <http://en.wikipedia.org/wiki/University_of_Kentucky>. 3 Mar. 2013. Mae Street Kidd was a determined, independent woman that defied the boundaries of race and ignored the restrictions of gender. To Mrs. Kidd, personal image was significant in presenting who you were and what you wanted to accomplish. She was a tireless force that allowed those around her to keep her motivated to do her best. She demanded the best from everyone, because that is what she gave of herself. From her first job at the age of 17, Mae Street Kidd took a stand and advertised her skills to the world, demanding that she be given a chance. Mae worked at Mammoth Life and Accident Insurance Company, which was one of the most popular insurance companies for African Americans of the time. She worked as a saleswoman, selling policies and collecting premiums. Promoted to file clerk, then continued up the ladder, becoming the supervisor of policy issues. Kidd states in Passing for Black that it does not matter where she lived, as long as she likes her work. Helped several different companies pioneer Public Relations departments, creating goodwill between the companies and their communities. She was among the first to develop the field of Public Relations, and the skills she gained would help her to later win elections. Following her return from being stationed overseas with the Red Cross, Mammoth Insurance refused to allow her to take control of the Public Relations Department that she created. She was forced to return to an entry level position as a saleswoman. In this position, she sold more insurance than anyone else ever had. “I’ve got too many guts in me to let you embarrass me. I will do the dirty job you give me better than anybody ever did it — and better than you ever dreamed I could” (Passing for Black p 51). Retired in 1966 at the age of 62 before pursuing her political career. Overall, Mae helped to build up many companies run by blacks for the black community. She helped to turn Mammoth Insurance into the large and profitable company it became, and helped many companies create relationships with their communities through Public Relations. born to an absent father and a multiracial mother she was led into an ambiguous view of race (in herself and others) and also considered it irrelevant.In the midst of segregation and violence, Kidd’s childhood was presented as wonderful and peaceful (recounts going to hat and dress stores and being allowed to shop there even though her mother was black). her father not being there created her independence from men which translated to her attitude in her two marriages: “I loved my husbands but I didn’t really need them.” This was obviously unique for the time. appearance was very important; she was always considered very good-looking and made sure she looked put together at all times. Weird how appearance was so important yet she cared very little about race….She also believed that everyone should be treated the same regardless of gender or race. She was very proud (page 51). She expected the best work from everyone around her just as she gave her best in everything she did. Finally, although she respected others, she never let anyone around her allow her to feel inferior. Ex: when she told her brother’s superior officer to relocate him closer to her. or when she decided she wasn’t going to go somewhere hot for her overseas service. Or when she came back to her job at Mammoth and was replaced and she gave her boss a piece of her mind. Never was she intimidated by authority figures, white or otherwise. “We’re gonna solve today’s problems by strengthening the family first.” page 148 Her interactions with her step-sister shows her encouraging words on acting like a lady. “Lady of the House” from 1968-1975. Served in Kentucky General Assembly in Frankfort as a representative from Louisville’s 41st district. Reluctantly Joined the world of politics. First black woman in the Kentucky House of Representatives. Open Housing Bill: introduced in senate by Georgia Powers, prohibits discrimination by reason of race, color, religion or national origin in sale or rental of housing, gave Kentucky Human Rights commission power to enforce the law. 1970, bill passed to provide mortgage loans for low income people. Ratification of the 13th, 14th and 15th Amendments, along with Georgia Powers in 1976. Most proud of this accomplishment. Same year as the Bicentennial- it was important to her that she was American above all else, regardless of race or gender. Considers her political activities the capstone of her career. A huge impact was made during the civil rights era by strong women who overcame typical stereotypes of women to fight for equality. The example that will be focused on here is Mae Street Kidd, a woman who became an influential politician only after her numerous individual efforts to break down common stereotypes of women and blacks. Her individual acts of resistance were small, but full of impact. She worked for equal rights in her time as a Red Cross employee and also in her time as an insurance worker, all because she refused to do anything less than her best, despite other people’s preconceived notion of race or gender. In Passing for Black by Wade Hall, Kidd talks about her experiences as a black women in the 1950’s and says: “People ask me my secrets as a successful salesman….first, I work hard and never give up…I’m fair tp people and expect them to be fair to me” (Hall, 136). This shows her determination to be successful despite race and allows her to be a role model. Her avant garde commentary on race relations made her a perfect role model for those in the 50’s looking to overcome racism. Not to mention her work with affordable housing also helped blacks (and poor whites) in the community find acceptable housing for themselves and their families. Another example of a powerful women in this time was Audrey Grevious, who was a civil rights activist at this time as well. One glowing example of her individual efforts in this time was when she and her friends rode around to a bunch of restaurants to see where they would be let in, and then circled around and did the same thing only in nicer clothes. She claimed she was furious because she discovered on the second time around she was allowed access to many more places, all because she looked like she may have been important. (See her oral history interview on the KET website, Living the Story.) This was certainly a big influence in her work with the NAACP. Although these women are spectacular because of their work in civil rights, to say they are more passionate than contemporary Kentucky women I think would be incorrect. In both cases, these were just women who would not be discriminated against and who had plans for their future. Although fighting different battles, Kentucky women today could easily be just a passionate about any number of issues. “Audrey Grevious.” Wikipedia. 17 Feb. 2013. <http://en.wikipedia.org/wiki/Audrey_Grevious>. 19 Feb. 2013. “Audrey Grevious.” Living the Story: The Rest of the Story. Kentucky Educational Television. <http://www.ket.org/cgi-bin/cheetah/watch_video.pl?nola=kcivs+000112>. 19 Feb. 2013. “Audrey Grevious.” Civil Rights Movement in Kentucky. Oral History Commission, Kentucky Historical Society. 13 April 1999. <http://205.204.134.47/civil_rights_mvt/util.aspx?p=1&pid=14984>. 23 Feb. 2013. Hall, Wade (1997). Passing for Black: The Life and Careers of Mae Street Kidd. Lexington, Kentucky: University Press of Kentucky. “Mae Street Kidd.” Wikipedia. 16 Feb. 2013.<http://en.wikipedia.org/wiki/Mae_Street_Kidd>. 19 Feb. 2013. The late 1800s was marked by the norm of racial segregation in schools and other public places. The Day Law of 1904 further reinforced the harrowing institution, making it more difficult for African-Americans to pursue education without resistance. While there were schools established solely for “colored” folks, there was less funding, and the conditions of the textbooks and facilities were quite poor. It was clear that integration would be a long-fought battle despite the ruling of the landmark Brown v. Board of Education case in 1954. There was a massive wave of resistance in the 1950s, led by the emergence of the White Citizens Council and the rise to prominence of the Ku Klux Klan. Desegregation was beginning to take place in schools, but at a deliberate pace that sometimes required lawsuits. According to Grevious, integration didn’t always have its perks: “the best black teachers were put in the white schools, and the worst white teachers were put in the black schools,” which still made it a struggle for African-Americans to get good quality education. In Freedom on the Border by Catherine Fosl and Tracy K’Meyer, there were several accounts of hardships experienced by African-Americans when going to predominately white universities. In an excerpt by John Hatch—who attended law school at the University of Kentucky—he explained the physical and emotional separation he experienced as a student. Other white students would sometimes speak to him, but the university had a policy that “there should be a chair between [him] and white students.” Hatch also talked about the daily humiliation of always sitting down at a table alone because “everyone at the table would get up and leave.” Hatch’s account pained me the most because of his feelings of loneliness and inability to fit in. After reading the excerpts in Freedom on the Border, it seemed that African-American men and women dealt with the desegregation in schools differently. Men were often treated worse and often felt isolated. Women also felt out of place, but accepted that they were left alone and sometimes ignored. Interestingly, athletics seemed to have become a mechanism that brought unity between African-Americans and whites. It was also a way to help desegregate schools, especially when African-Americans began being bused to places with better teams. I find it fascinating that at the University of Kentucky today, a predominately black basketball team—one of the best in the nation, nonetheless—has also been able to bring people together, regardless of race. “KET | Living the Story | The Civil Rights Movement in Kentucky.” Glossary, Audrey Grevious. Web. 11 February 2013. “National Association for the Advancement of Colored People.” Wikipedia. Wikimedia Foundation, 02 Jan. 2013. Web. 11 Feb. 2013. “Audrey Grevious.” Wikipedia. Wikimedia Foundation, 02 Jan. 2013. Web. 11 Feb. 2013. “Berea College v. Kentucky.” Wikipedia. Wikimedia Foundation, 02 June 2013. Web. 11 Feb. 2013. “White Citizens’ Council.” Wikipedia. Wikimedia Foundation, 02 June 2013. Web. 11 Feb. 2013.